Vapor barriers are an important part of a well-functioning house. They keep the soil moisture from the ground below your crawl space from invading your home and causing a nightmare of mold and mildew. Animals and aging material can create holes in the vapor barrier which then allows moisture through. When a vapor barrier begins to disintegrate or has been damaged by animals or insects, it is time to call The Killers Crawl Space Restoration for Vapor Barrier Removal in Portland. Rodents and vermin make easy homes out of crawl spaces in Portland. And when they do, they destroy the area. Their droppings get absorbed in the surrounding material and they break up the vapor barrier and insulation. The Killers Crawl Space Restoration specializes in every aspect of animal removal and restoration of the damage they have caused, including Portland vapor barrier removal. Does Your Crawl Space Have Vapor Barrier Damage? When moisture gets through a damaged vapor barrier, it soaks into insulation and your home’s foundation—especially in our wet Portland climate. It can even continue into your living area. An intact vapor barrier holds the moisture out of the crawl space so the air under your home can remain properly ventilated and dry. When damage has been done to a vapor barrier, it becomes useless. 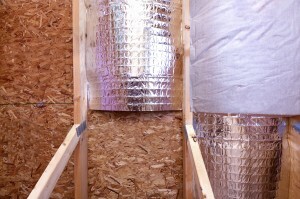 Not only does it allow moisture through, it can also impede proper ventilation under your home. That is why the removal of a damaged vapor barrier is so important. Specializing in vapor barrier removal in Portland, we have experience with every aspect of your crawl space. 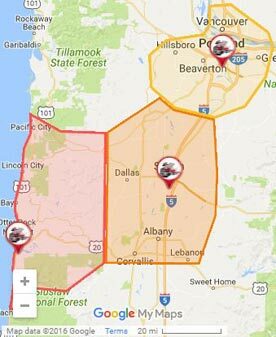 With an intimate understanding of how the area under your Portland home should be ventilated and insulated, as well as experience with insect removal and animal removal, we are a uniquely full-service company. As licensed professionals, our vapor barrier removal service is often sought after we have done a crawl space inspection. This inspection is an important part of the health of your home and the health of your family. Fumes, bacteria, and moisture can all get into a home when the crawl space is not clean, intact, and well ventilated. If you haven’t had the area under your home inspected for years, or if you suspect you may have animals or insects living there, call The Killers Crawl Space Restoration. 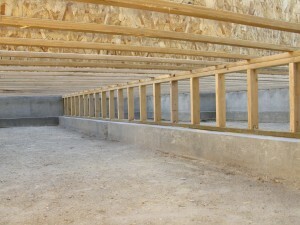 We do a complete crawl space inspection. We are able to repair any and all damage as well as remove any animals or insects creating the problem. Specializing in vapor barrier removal, we can remove your damaged vapor barrier and install a new one in any Portland home. Contact The Killers Crawl Space Restoration today for vapor barrier removal in Portland.